Get $20 Off Your First Shipment! Ethical coffee beans means all Organic – guaranteeing farmer safety. 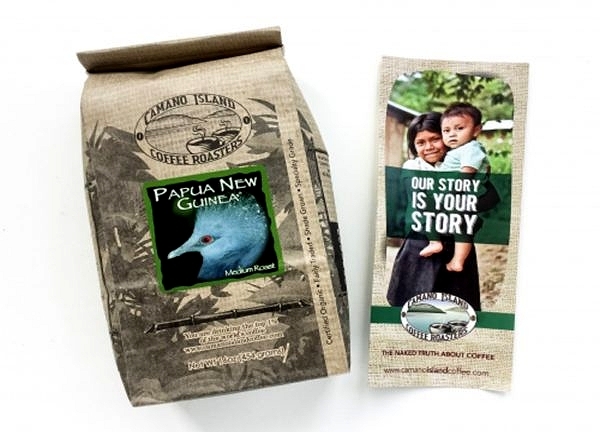 Ethical coffee means Shade-grown — guaranteeing bird habitat and preventing soil erosion. Ethical coffee means buying Fairly Traded – guaranteeing a fair wage. THIRD: GIVING A HAND UP, NOT A HAND OUT. Independence – as landowners, farmers can command a better price for their delicious product. Accountability – as landowners, farmers can decide for themselves whether to use dangerous pesticides or harmful agricultural practices like clear-cutting the Rainforest. It Doesn’t End Here! – Agros also helps farmers through education and water treatment programs. Now that’s something to drink to! That’s right, you are the most important component for lasting change. By supporting only ethical coffee that’s Certified Organic, Shade-Grown, and Fairly Traded, you preserve the environment and prevent human poisoning from pesticides. By supporting ethical coffee that’s fairly traded, you know coffee farmers receive a fair wage — that’s life altering. There’s power in your dollar — Use it! For every Coffee Lover’s Box shipment you receive from CICR, 2% is given back through our nonprofit partners: Agros and Food 4 Farmers.